Having failed to muster the two-thirds parliamentary majority necessary to modify the Fundamental Law, Orbán appears to have arranged for Hungary’s Constitutional Court to confer powers on itself not spelled out in Hungary’s constitution in the form of a binding resolution adopted by the Court in response to a petition submitted by the Ombudsman for Fundamental Rights. Despite the series of domestic political and legal setbacks at the end of 2016 over whether Hungary should abide by a 2015 EU Council of Interior Ministers resolution requiring EU Member States to temporarily resettle asylum-seekers, Hungary’s packed Constitutional Court gave itself the authority to interpret national/constitutional identity in a manner that creates a dangerous new precedent. As one critic puts it, this process plays out in Hungary like acts in a theater, with actors playing out the role the director has assigned to them. On September 22nd 2015, the EU Council of Interior Ministers resolved to assist Greece and Italy in the processing of asylum applications. The plan was to distribute asylum-seekers among EU Member States, thereby alleviating the intense pressure on Italian and Greek authorities. According to the plan, Hungary was to have temporarily settled 1,294 asylum-seekers — 306 from Italy and 988 from Greece. In accordance with EU rules, the resolution only required a qualified majority to pass. Although Hungary, Slovakia and Poland opposed the resolution, the majority of interior ministers voted in favor. As the resolution applied to asylum-seekers, Hungarian authorities would have been responsible for vetting their asylum applications, reserving the right to deport those whose applications it deemed invalid. Domestically, the refugee crisis proved to be a godsend for Fidesz. In the wake of the terrorist attacks in France, the Hungarian government launched a massive nationwide propaganda campaign with a view to shoring up its popularity which had plummeted in the wake of the 2014 election. The campaign targeted not only refugees and asylum-seekers from the Middle-East but also Brussels, which the government claimed was attempting to undermine the national sovereignty of EU Member States. On December 3rd, Hungary and Slovakia challenged the legality of the relocation scheme in the Court of Justice of the European Union. In Hungary, the lawsuit was heavily publicized by government-controlled media. On that very same day, László Székely, Hungary’s Ombudsman for Fundamental Rights, petitioned the Constitutional Court for clarification on a potential conflict the EU Council of Interior Ministers resolution may have with Hungary’s Fundamental Law. Székely, who was appointed to his post in 2013, sought clarification over two sections in the Fundamental Law. In short, he asked whether Hungary would be required to take part in the EU relocation scheme if the plan conflicted with Hungary’s own Fundamental Law because it would have involved Hungary taking part in a mass expulsion of a population from another country. This petition sat untouched by the Constitutional Court for nearly six months. Meanwhile, the Orbán government spent tens of billions of forints fomenting xenophobic sentiment and inundating Hungarian society with anti-refugee propaganda conflating asylum-seekers with Muslim terrorists — all this culminating in a so-called “national consultation” on immigration in 2016. The result of the consultation was never published. However, according to the government, the vast majority of respondents reportedly agreed with the government’s position that immigration posed a threat. Emboldened by the outcome of the national consultation, and seeking to further capitalize politically on a “migration crisis,” the following year the government held a referendum on the relocation scheme. Despite pulling out all the stops, the government failed to mobilize the requisite 50 percent of the electorate required by law in order to be valid and legally binding on parliament. However, as the vast majority of those participating in the referendum reportedly agreed with the government’s position that migration posed an existential threat to Hungary, Orbán reacted to the defeat by declaring victory and proposing to modify Hungary’s Fundamental law for the seventh time since its adoption in 2011. The proposed constitutional amendment went on to say that in order for EU law to be carried over into the Hungarian legal system, the laws must not interfere with Hungary’s territorial rights, population, or state structure. On November 8th, 2016, Viktor Orbán failed to secure a two-thirds parliamentary majority necessary to introduce the term “constitutional identity” into Hungary’s constitution. In other words, by citing this particular passage in EU law, a Member State can essentially sidestep having to abide by an EU directive on grounds of national or constitutional identity. On November 30th, 2016, just three weeks after the failed attempt to amend Hungary’s constitution, the Constitutional Court rendered a decision on the ombudsman’s 2015 petition. And this is where the Constitutional Court did something that, according to some legal scholars, amounts to gross violation of the court’s mandate. Halmai, who advised Constitutional Court president (and later Hungarian president) László Solyom on constitutional matters, told us that neither the Fundamental Law nor the Act on the Constitutional Court actually authorizes the court to give itself the competency to decide on the constitutionality of EU law based on Hungary’s national/constitutional identity. Whether or not national/constitutional identity as a legal principle can be abused is something that is up for debate. Dorota Leczykiewicz, assistant professor of law at Oxford University, told us that Article 4(2) of the Treaty of European Union isn’t something that can be used in good or bad faith. Instead, she says, the argument can really only be legally effective or ineffective — and this will ultimately be decided by the Court of Justice of the EU. 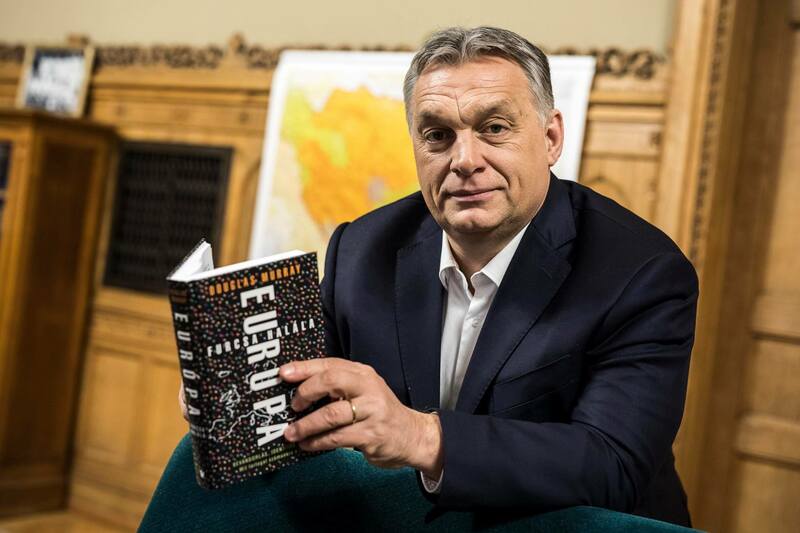 “It’s a screen to hide behind, giving them a way to evade EU law,” Kim Lane Scheppele, the Laurance S. Rockefeller Professor of Sociology and International Affairs in the Woodrow Wilson School of Princeton University, told us in reference to Hungary’s application to the EU law. Kovács told us that what the Court of Justice of the European Union seems to respect when interpreting Article 4(2) TEU is the national identity embodied by the domestic legal system from the moment of the foundation of the independent and democratic state. Kovács continued: “Central European constitutional courts tend to build national identity on presumably distinctive historical events, the Hungarian Constitutional Court is in a special position because of the constitution the judges are expounding…. [which] requires the judges to interpret the constitutional provisions in the light of the National Avowal, and the National Avowal contains mythical historical and religious considerations. “According to [the Constitutional Court’s decision],” Kovács said, “the constitutional identity of Hungary is distinctively and uniquely rooted in the historical constitution. Both the Fundamental Law and its interpretation given [in the Constitutional Court’s decision] assume that the special features of the Hungarian historical constitution, including the Holy Crown doctrine, cannot be found elsewhere. However, taking a closer look at these two doctrines – historical constitution, Holy Crown – it turns out that both are regional phenomena, and not specific to Hungarian history. In mid-June 2017, six months after the failed attempt to amend Hungary’s constitution for the seventh time, the European Commission launched infringement procedures against the Czech Republic, Hungary and Poland for non-compliance with their obligations under the 2015 Council decision on relocation. On September 6th, 2017, when the European Union Court of Justice dismissed the case brought by Slovakia and Hungary seeking to annul the Council Decision of September 2015, Prime Minister Orbán famously remarked that Hungary would not comply with the court’s decision. Following a cabinet meeting in late February 2018, justice minister László Trócsányi filed yet another petition to the Constitutional Court asking whether Hungary can cite “constitutional identity” to avoid having to take in refugees. Similar to the ombudsman’s petition from 2015, Trócsányi pushed the Constitutional Court to take a position on national/constitutional identity. Vörös and Halmai agree that the scope of Trócsányi’s petition to the Constitutional Court goes well beyond a relocation plan for refugees and that it targets other EU laws the government does not want to comply with. The Constitutional Court has yet to render judgement on Trócsányi’s petition. “We can just hope that the European Union, a community of values of rule of law, democracy and guaranteed fundamental rights will find ways to stop Hungary from violating those values. The procedure to start an Article 7 procedure, which after [Hungary’s general] elections will be discussed by the European Parliament, would be a first, unavoidable step on the long road to force Hungary to comply with the values of the EU, and not just enjoying its financial support, or leaving altogether,” says Halmai. Vörös: “This long and drawn-out process demonstrates what it’s like when a country’s legal system, its checks and balances, becomes a theater of democracy, where the scenes are acted out,” adding that similar productions can be seen in Venezuela and Poland. According to the former Constitutional Court justice, this series of events demonstrates that Hungary’s executive is capable of imposing its will on every nominally independent institution in Hungary.